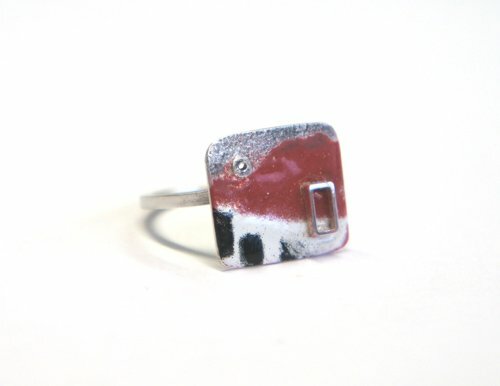 Large sterling silver ring, featuring a tube rivet and window, enamelled in red, black & white with a glossy finish. Set on a square wire band with a frosted finish. 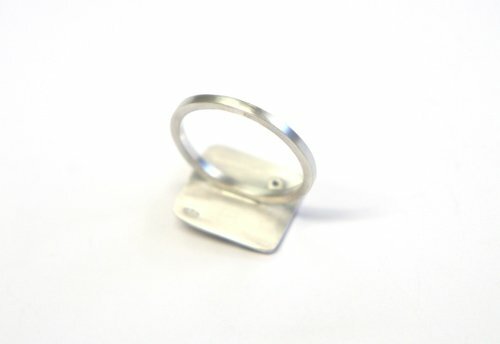 15mm x 15mm square (approx), 1.5mm square wire band. 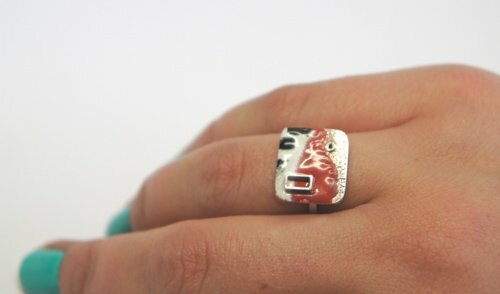 Please note that no two are the same due to the enamelling process, making them totally unique!